depending on the technique used for enhancing the lip appearance. During the initial consultation process, the treatment provider will discuss all aspects of the procedure, and may also provide the patient with lip augmentation before and after photographs. For an experienced treatment provider, the first goal is to ensure that the patient makes a well-informed decision. Facial plastic and reconstructive surgeon Dr. Eric Yavrouian provides lip augmentation to patients in Glendale, Pasadena, Burbank, Greater Los Angeles, Beverly Hills, CA, and surrounding communities. What are Lip Augmentation Before and After Images? Before and after images in case of lip augmentation refer to a pair or group of pictures pertaining to a previous patient who has undergone the same treatment with successful results. The pictures include images taken prior to the procedure and after the procedure at a stage when the post-operative swelling and bruising are resolved and full effects of the lip augmentation cosmetic surgery or injectable procedure are visible. The surgeon will take care to obtain the photographs with the consent of the patient and will present them before new patients in a discreet manner. The sole purpose of the surgeon, in this case, is to use the photos as a tool to educate new patients about different aspects of lip augmentation. When a new patient understands what the procedure can or cannot do for them, they are in a better position to make the right decision. This is the amazing aspect of digital technology. It would be remiss not to discuss this fantastic technology here. This technology is what is making this possible and the Internet is what is allowing so many people to find out the critical information they need and want without anyone else being the wiser. Patients who are considering their lip augmentation treatment options may be apprehensive about how the treatment may impact their lip and facial appearance, or how effectively it may achieve the desired results. 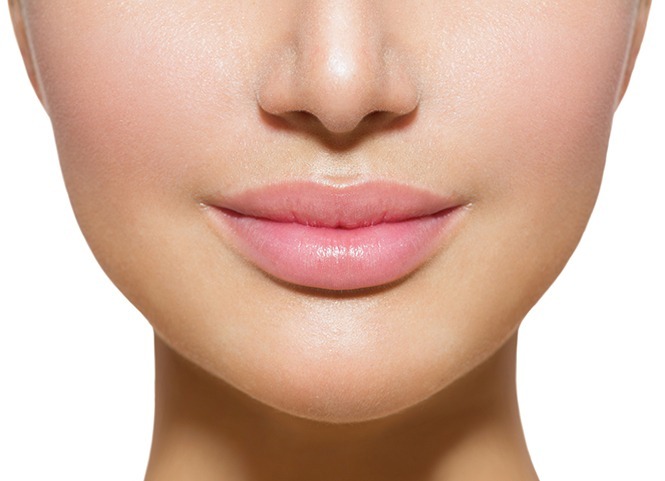 Different patients may have different lip definition needs, and may benefit either from lip implants, lip fat transfer or dermal filler injectable treatment. In all cases, the treatment provider will be able to address the patient’s concerns and show them the estimated results by presenting the appropriate lip augmentation before and after photos. This would be during the consultation but the patient because of this marvelous website already has a firm grasp on what to expect. And they can see these stellar pictures from anywhere they can obtain Internet access. This means that a patient can form a salient opinion while looking at these pictures while laying on their bed or sitting in their favorite restaurant. It is a brave new world. When a patient chooses a procedure with realistic expectations, chances are that the results will be more satisfying and achieve their essential purpose of making the patient happy and confident. With the help of lip augmentation before and after photos, the treatment provider can ensure that the patient knows what to expect and what not to expect from the treatment. A treatment provider has the option to include lip augmentation before and after photos on their practice website which is certainly the case here as already has been discussed. Dr. Yavrouian believes in transparency and is excited to show off his remarkable work which has satisfied so many patients. Transforming lives for the better is something that he makes a living doing. Now a patient can have an acute awareness of what to expect from this type of treatment. If the surgeon is active on social media, they may also share the photos via social channels such as Facebook, Instagram, and YouTube. This can help increase general awareness about lip augmentation treatment. Facial plastic and reconstructive surgeon Dr. Eric Yavrouian receives patients from Glendale, Pasadena, Burbank, Greater Los Angeles, Beverly Hills, CA, and nearby areas for lip augmentation. How Long Does Lip Augmentation Last?